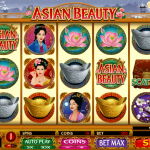 Learn about the Chinese culture with Asian Beauty, a video slot game from Microgaming. This game is simple yet so elegant. Travel to the Orient and see the Emperor’s daughter which will help you earn some cash on the way. The whole game has a certain magical feeling and the oriental music just complements the whole experience. Asian Beauty is packed with special features. 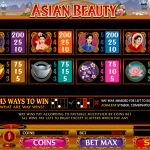 Asian Beauty logo is the wild in this game and it substitutes for all the other symbols except for the scatter to complete a winning combination. Then, we have a jewelry box which is the scatter and also the key to the free spins feature. All you need to do is to land 3, 4 or 5 scatter symbols and you will receive 10, 15 or 25 free spins respectively. All the wins during the feature are doubled and it is also possible to retrigger the free spins too. That is not all when it comes to special features. 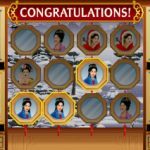 We also have the Asian Beauty Mirror Bonus which is randomly activated. You need to pick from 12 mirrors until you match 3 symbols and you receive a multiplier between x12 and x30 accordingly. Asian Beauty is a game that Microgaming is so proud of. It has everything a punter looks for in a game. It pleases the eye while allows you to earn some good cash thanks to the many features it has on display. The best part may be the random feature which gives a good boost to your balance. You have to try this game if you haven’t done that so far. It will surprise you in a good manner with its game play and winnings too. If you would like to try fishing for money you should consider playing Alaskan Fishing a 5 reel slot by MicroGaming.